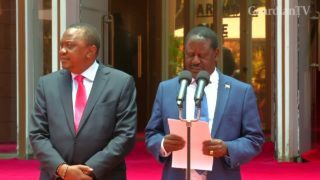 Kenyan president Uhuru Kenyatta and opposition leader Raila Odinga walking towards microphone, Odinga addressing media, Odinga saying he agrees with Kenyatta to stop divisions in the country, kenyatta saying he wants to come together and find solution to unify country, Kenyatta and Odinga shaking hands. 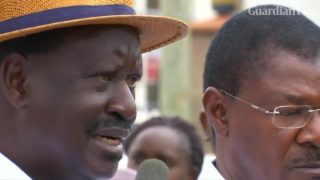 Kenyan lawyer Miguna Miguna is arrested for taking part in opposition leader Raila Odinga's 'swearing in' ceremony. 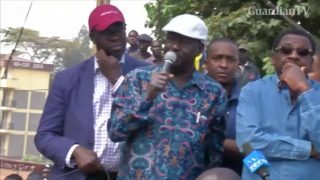 Kenyan opposition leader Raila Odinga says the Supreme Court's decision to annul last month's presidential election won't make a difference unless the second attempt in October comes with "legal and constitutional" guarantees. 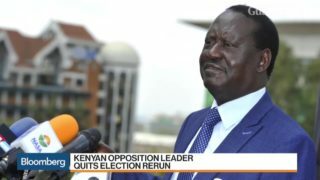 Kenya's opposition leader Raila Odinga said on Sunday that his coalition will not share power, two days after the Supreme Court annulled last month's presidential election and ordered a new poll within 60 days. 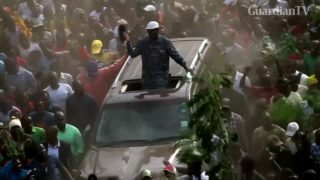 Kenya's opposition leader Raila Odinga arrived in the slums of Nairobi to meet the family of an 8-year-old girl shot dead during post election clashes. 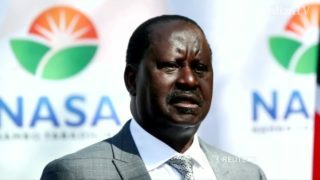 Kenyan opposition leader Raila Odinga on Sunday (August 13) called for a strike and a day of mourning to support his claim to the presidency and accused the ruling party of spilling the blood of innocent people, despite growing pressure on him to concede election defeat. 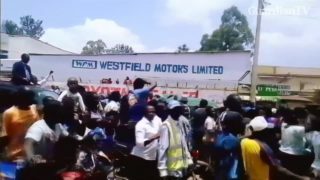 Supporters of opposition leader Raila Odinga take to the streets after election results showed President Uhuru Kenyatta in the lead. 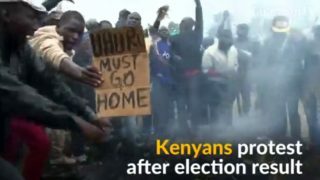 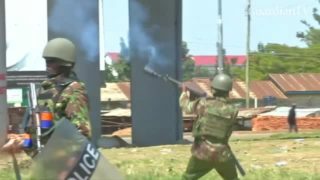 Kenyan police fired tear gas at supporters of opposition leader Raila Odinga on Wednesday amid high tension following Tuesday's closely contested election. 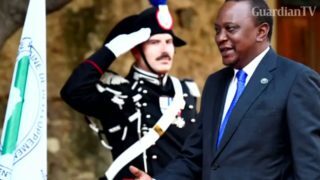 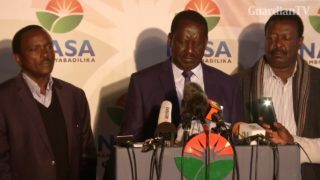 Kenya's opposition leader Raila Odinga said hackers broke into the election commission's database overnight leading to what he called massive electoral fraud. 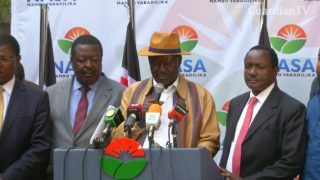 Kenyan opposition politician Raila Odinga and his running mate Kalonzo Musyoka present their election documents to the Independent Electoral and Boundaries Commission ahead of the presidential election in August.